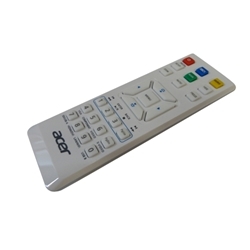 Description: New genuine Acer projector replacement remote control. This part is white in color. Acer Projector H5380, P1173, X1173, X1373.